Taron Egerton & Jamie Foxx on the Red Carpet at ‘Robin Hood’ Premiere in NYC! 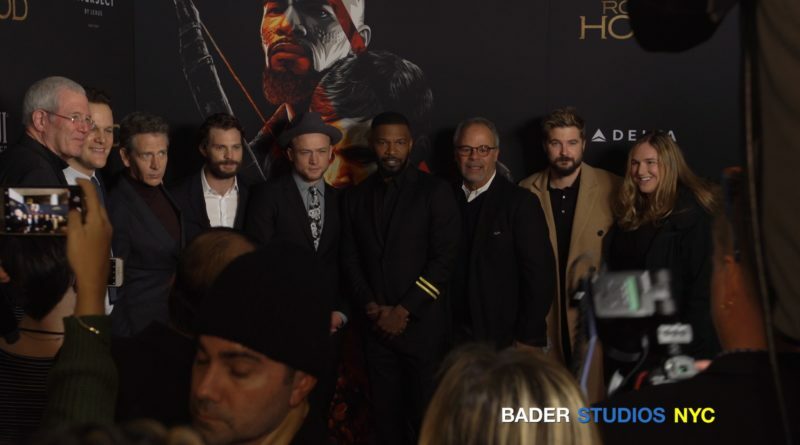 November 2018 – New York City – Bader Content Studios was on the red carpet ad behind the scenes of the making of Robin Hood starring Taron Egerton and Jamie Foxx who were on the red carpet at the premiere of Robin Hood – joining co-star Ben Mendelsohn, screenwriter David James Kelly and director Otto Bathurst. Robin Hood tells the timeless story which charts a legendary heroic outlaw and his Moorish commander rising against the evil English crown.